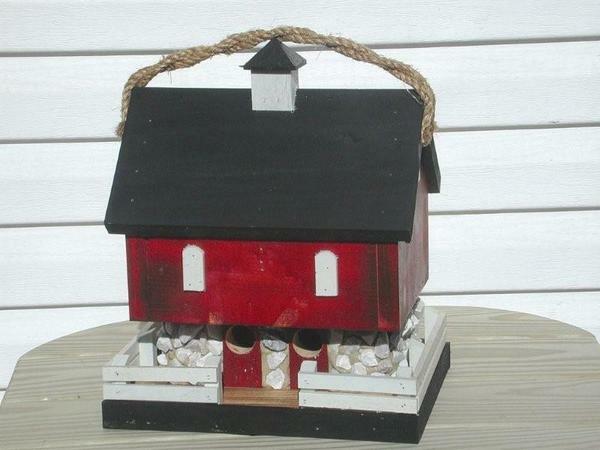 There's nothing quite like the handcrafted touch when it comes to exceptionally detailed work, and nothing short of an expert hand could have created this stunning red country barn bird house. Its stone lower level, picket fence, pitched roof and beautiful red walls come together to form the perfect combination of traditional style and country appeal. This piece is a guaranteed hit with birds and guests alike. If you've any questions about this bird house, please give us a call or an email - we would love to hear from you.